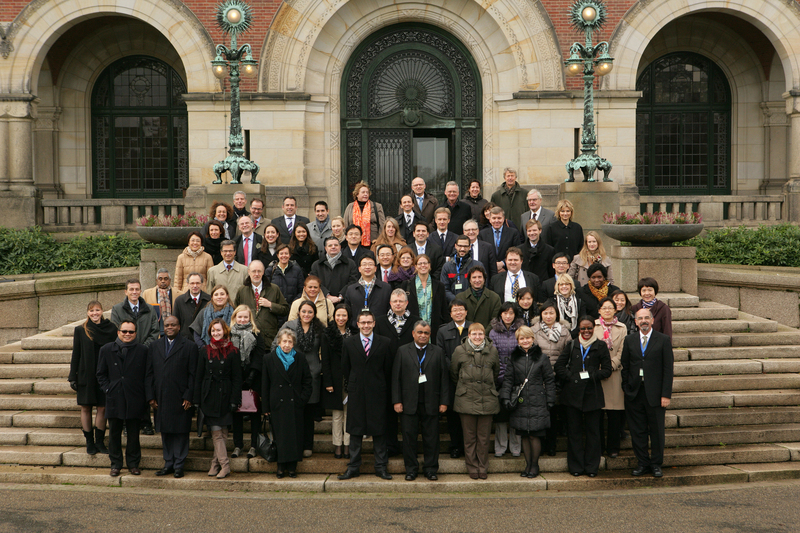 On 16 November 2012, experts from 59 States, the European Union, and a number of international and non-governmental organisations concluded the first meeting of the Special Commission on Choice of Law in International Contracts by unanimously agreeing to recommend that the Hague Conference on Private International Law finalise the draft Hague Principles on the Choice of Law in International Contracts ("draft Hague Principles"). The development of the Hague Principles will reinforce party autonomy via global rules pertaining to the choice of law in international commercial contracts. Experts also agreed on the process for finalising an accompanying Commentary, including examples, on the draft Hague Principles to assist States which choose to adopt them. Once the draft Hague Principles are finalised, the Council on General Affairs and Policy (the Organisation's governing body) will be asked to review them for final approval. States will then be encouraged to adopt and apply them as soon as possible. The Special Commission meeting opened on 12 November. Its goal was to give States the opportunity to build on the prior work of a specialised Working Group consisting of experts in the fields of private international law, international commercial law and international arbitration law. As such, this important step taken by Special Commission experts towards finalising the draft Hague Principles demonstrates significant progress in facilitating legal certainty with regard to the execution and enforcement of international commercial contracts.